Yesterday my consolationprice from Cosmo Cricket arrived! And wow what a nice price! 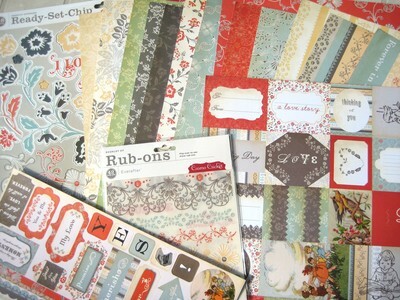 Lots of chipboard, stickers, rubons and all these beautiful papers! I'm going to have so much fun using these! !